Shanghai is a city on the way up. Already today, Shanghai is the trade, financial, and service center of China. The general living conditions are said to be the best in all of China. Also, Shanghai is already the leading center of Asia and China’s gate to the world. The infrastructure of the metropolis Shanghai, with a population of 23 million, is superbly developed: A first-class deep water harbour, a comprehensive road and rail network, the magnetic levitation train, and the gateway to the world with the Hongqiao Airport and the Pudong International Airport are only some of its distinguishing features. Further, some 50 universities and technical institutes produce highly qualified graduates for a talented workforce. The region is committed to growth and progress. Pudong is the city district in Shanghai known as the “new economic and high technology district”. Today it comprises almost the entire area east of the Huangpu. Pudong has a population of about 3 million inhabitants in an area of 1.210,41 square kilometres. The office building of the German Centre Shanghai is located in the Zhangjiang Hi-Tech Park in Pudong. This part is increasingly called China’s Silicon Valley. The development of biotechnologies, information technologies, and microelectronic technologies has established itself here. Zhangjiang Hi-Tech Park offers ideal conditions as a business location. At our office building in the Zhangjiang Hi-Tech Park, you can lease flexibly usable units from 29 sqm net. It is also possible to set up entire office wings and complete floors as open-plan offices or combination offices. The Yangtze River Delta Economic Zone, which centres around Shanghai, is regarded as the locomotive of China’s economy, Let’s take a look at the production locations in the Yangtze Delta Area. Taicang is the port city nearest to the mouth of the Yangtze River as well as one of the most developed county-level cities in China. Taicang ranks 9th among top ten wealthiest cities (country-level) in China and ranks 8th in the 6th session of country-level basic economic competitiveness, and it was awarded the most valuable development zone for investment in terms of comprehensive strength in Yangtze River Delta Region. 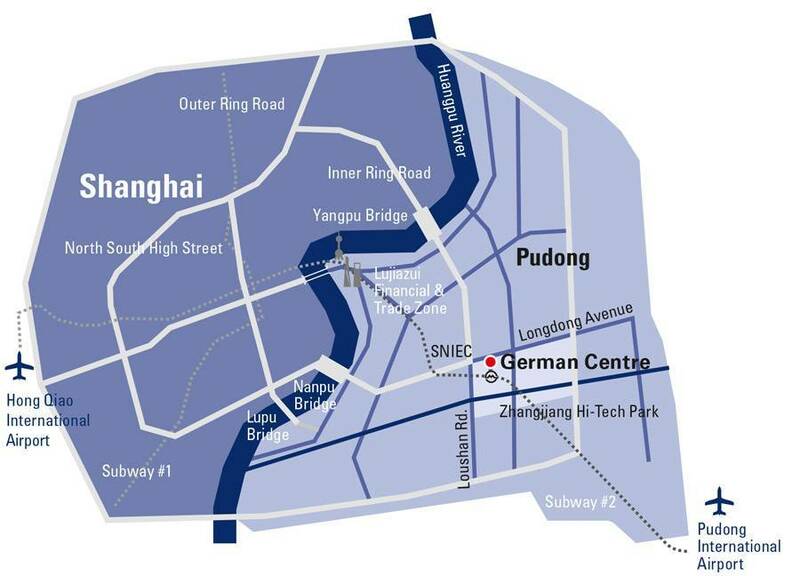 Shanghai Eureka City Industrial Park (Eureka) is located in the western suburb of Shanghai City. It is only 3km away from Hongqiao Integrated Transportation Hub and enjoys convenient public transports. Eureka is one of the closest industrial parks to the downtown area. With a total construction area of 120,000m2, Eureka is divided into Science & Technology Industrial zone, Commerce R&D zone and Comprehensive Service Facilities zone. It is an integrated industrial zone for manufacture, R&D, office works, financial supports trading, and services. Qidong Economic Development Zone is one of the first provincial zones in Jiangsu. It has an total programming area of 102 km2, including a central park and three industrial parks. In 2007, it ranked 10th in Jiangsu top 20 provincial zones. Shanghai LinGang Heavy Equipment Industry Park is the first modernized science & technology standardized premise project, it was designed by German GMP enterprise, insisting on the conception of ‘International top one park’, in comply with the standard of ‘Premise quality the first, Park environment first, industrial orientation first, service standard first and team administration first’, dedicating to establish an advancement manufacturing base featuring with clear era feature in LinGang Industry zone, embodied the conception of constructing the most standardized premise in the modern world. NIP is a wholly foreign-owned and operated industrial and business park located in Ningbo south of Shanghai. The main owner of NIP is the privately-owned investment company Styrbjørn AS from Stavanger, Norway. NIP’s Scandinavian-Chinese management team with extensive China experience and know-how takes care of daily operations. We work with foreign companies that wish to operate in an open, transparent and secure business environment in China. NIP operates as a full service and facility provider of total solutions based on international business understanding and practices. NIP has completed 140,000 m² of high-quality assembly, production and office facilities which will reach a total of 170,000 m² in late 2011. All our current clients are 100% foreign-invested small and medium-sized companies from Europe and the USA.